Defense Distributed’s Cody Wilson holds a 3D-printed gun called the Liberator in his Texas shop in August 2018. A U.S. district judge in Seattle extended a ban preventing Austin, Texas-based Defense Distributed, which designs and releases digital blueprints for small arms that can be produced by 3D printers and CNC-milling machines, from continuing to do so until a lawsuit by 19 states and the District of Columbia is resolved. In 2015, the Barack Obama administration sued Defense Distributed. At issue was not the gun blueprints per se, but whether posting them to the worldwide internet violated the Arms Export Control Act. President Donald Trump’s administration—which has eagerly aligned itself with the firearms lobby—recently reached a settlement the company and its “self-identified crypto-anarchist” chief Cody Wilson in which it removed all “firearms up to .50 caliber” from the State Department’s U.S. Munitions List. 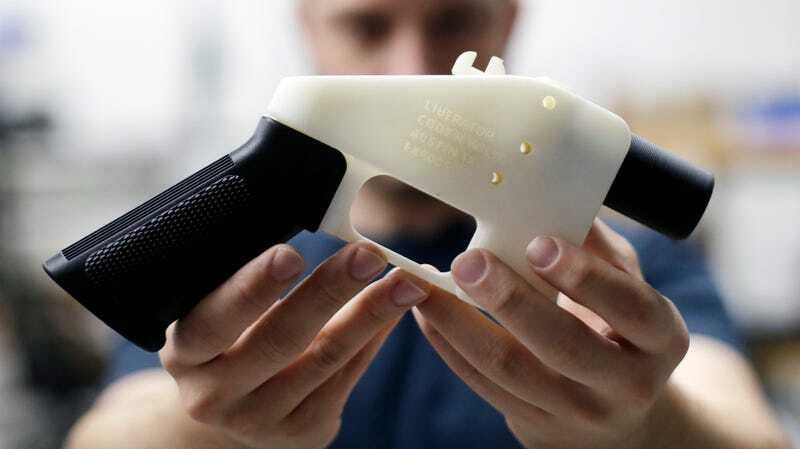 That settlement would have allowed Defense Distributed to keep publishing the 3D-printed guns, but U.S. District Judge Robert Lasnik put a restraining order on the site shortly before the settlement would have gone into effect on August 1st. Lasnik ruled that the original settlement did not follow proper procedure requiring congressional oversight of the restricted list as outlined in the Administrative Procedure Act, per Ars Technica. However, the ruling did not touch on the much more complicated question of whether Defense Distributed had a right to publish the blueprints under the First Amendment, Ars Technica wrote. Lasnik reiterated that the files remained legal to own and distribute except by publishing them to the public internet, where they can be downloaded worldwide. 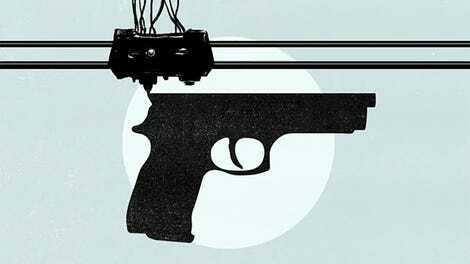 There are currently multiple bills to make untraceable or 3D-printed guns illegal on the federal level, though their fate is uncertain during a time when Congress refuses to pass any significant new gun laws. But right now, Defense Distributed’s case is really more about the legality of distributing the plans over the global internet than what one can do with them when they’re received. “At some point this will be about smuggling tools, information, and knowledge rather than the guns themselves,” academic and DIY gunmaking expert Mark A. Tallman told Mother Jones last year. According to Bloomberg, Defense Distributed is reviewing its legal options in response to the decision. The files themselves remain widely available elsewhere on the internet, including third-party mirrors and file-sharing networks.